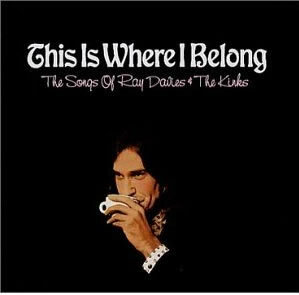 This Is Where I Belong: Songs of Ray Davies and The Kinks (2002, Rykodisc) is an excellent little collection of covers by many artists that I enjoy. The variety of folks selected to contribute to this CD serve to illuminate the literate and consistently superb songwriting of Ray Davies, regardless of the musical lens you choose. The Yo La Tengo track is a completely new invention, the Josh Rouse tune has that sly smoothness to it that I love about him, and the Lambchop (needs no mint sauce) version of “Art Lover” is fuzzy and melodic and extremely enjoyable. Matthew Sweet turns in an expansive cover of “Big Sky,” and Cracker rocks on “Victoria,” a la their best Kerosene Hat-era material. Overall this is a solid, quality album (and highlights really the best of the tribute album genre — how adventurous and diverse it can be). Tagged with bebel gilberto, covers, cracker, fountains of wayne, jonathan richman, josh rouse, matthew sweet, ron sexsmith, the kinks. ” . . .After chatting to his buddy Paul McCartney about Sexsmith, Chris Difford of Squeeze took Ron over to the ex-Beatle’s house for an impromptu jam session. Maybe you’ve heard this story, but you know you want to hear it again. Difford makes the introduction, they all have breakfast and before you know it, Ron’s singing ‘Listen To What The Man Said’ with Paul taking the harmonies. I had to hunt down the cover, for me and for you. This version is live with Sexsmith only – I doubt a recorded version exists of them duetting. But I’ll bet that it would sound very nice because (although I have never realized this before) McCartney and Sexsmith have extremely complementary voices. Tagged with covers, paul mccartney, ron sexsmith. So, I think Kenny Rogers goes to my gym. I was watching this man (either him or like HIS TWIN) do extremely fast ninja squats yesterday while I mulled over the choices for the Monday Music Roundup with my iPod on the freaking Stairmaster. He had cat-like speed and reflexes. Who knew? A lovely Beck cover from the KT Tunstall website-only release Acoustic Extravaganza, recorded over the holidays on the Scottish isle of Skye. One forgets that tiny Beck also has an introspective side to some of his songs, and here Tunstall takes it and suffuses the tune with the warm & rosy glow of sunrise. Well, folks, The Chesterfield Kings (oldies that I have never heretofore heard of, from Rochester NY) enter the running and there is now a three-way tie for “Best Rolling Stones Song In Recent Years NOT By The Rolling Stones” (tie with the Deadstring Brothers and the new Primal Scream). This is not a bad thing – I think there is ALWAYS room for a little sloppy bluesy harmonica rock ‘n’ roll, yes? Also on the album (The Mindbending Sounds of the Chesterfield Kings) notably enjoyable tracks are the delightfully Beatles-inspired “Somewhere Nowhere” and “Transparent Life.” Please IGNORE the horrific hairstyles – this is not Whitesnake, even if they look like it. Someone get a pair of clippers, I’ll cut their damn hair myself. I like Ben Folds because of his quirky and honest voice (it’s not traditionally beautiful, but stirring and transparent in its ordinariness) and his absolutely lush & gorgeous piano orchestration. 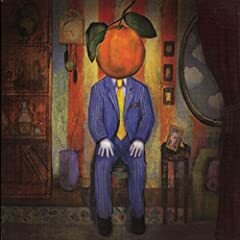 This version of Landed (a bonus track on some editions of Songs for Silverman) goes on and adds insult to beautiful injury by heaping on some delicately rich strings. Will make you ache. This American debut from Scandinavian songbird Ane Brun (A Temporary Dive, V2 Records) caught my eye initially because of this track, a collaboration with my newfound hero Ron Sexsmith. However, I have been pleasantly surprised by the entire disc (Pitchfork gave it a 7.7, if that means anything), even though it is driving me to the Cliffs of Insanity to not be able to peg who her voice is a dead ringer for in the opening lines of this song. HELP? Oh no, is it Norah Jones? I think it’s Norah Jones that she reminds me of. Oh dear. Well, her album is NOT a Norah Jones facsimile, she is in a totally different vein. Good smattering of stuff on eMusic for her too. Tagged with beck, ben folds, david mead, eels, kt tunstall, monday music roundup, ron sexsmith. Recently Chris Martin of Coldplay was forbidden again (by his label EMI) to release a track which he has supplied guest vocals on (this time with Nelly Furtado, previously with Mike Skinner & The Streets), after it was previewed for journalists and everything. 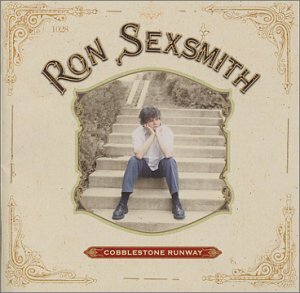 But back in 2002, he did supply some really lovely vocals on the closing track of roots/pop artist Ron Sexsmith‘s album Cobblestone Runway. I was laughing with Mike about how I had never given Sexsmith a listen, perhaps in part due to his last name which sounds a bit Gary Glitter-esque to me. Mike admitted that he had gotten teased a few times for wearing the t-shirt. I say just tell people that it is your craft. Others may be woodsmiths, or metalsmiths. There’s someone out there who can call himself a Sexsmith, and that’s nothing to be ashamed of. Wow, was I missing out not listening to this guy! How gorgeous is that song? Piano, lush strings, and a beautiful melody. He’s all over eMusic, I might have to spend some time with that. Tagged with chris martin, ron sexsmith.